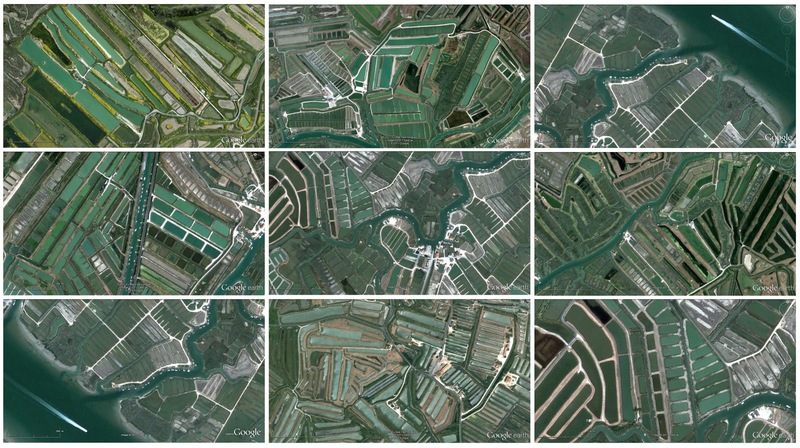 The Fine de Claire oyster is refined in claire basins according to a stipulated number of months and a maximum limit on the number of oysters per square metre. The flesh has a slight hazelnut taste. 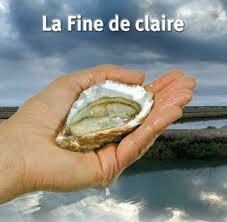 The fine de claire is for those who prefer a less fleshy oyster. 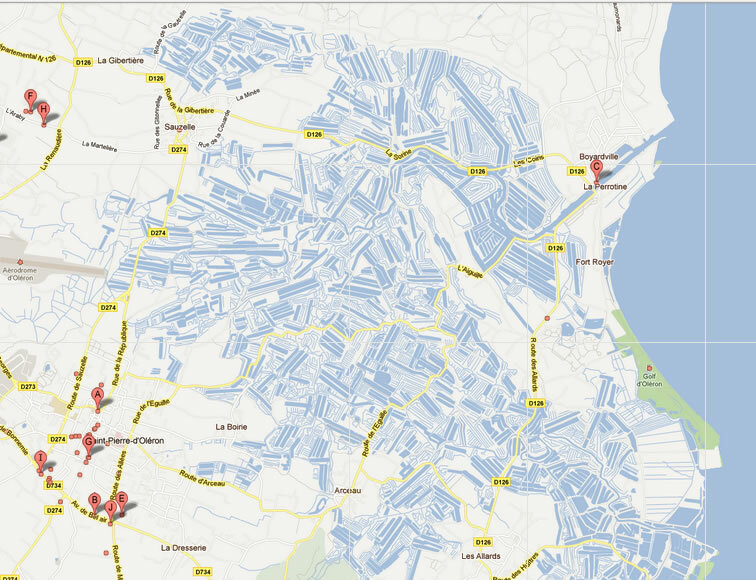 It is during this process that the claires of the Marennes Oléron basin impart the subtleties of regional flavours. This oyster is particularly apprecietated by the consumer who prefers an oyster rich in water and balanced in flavour. 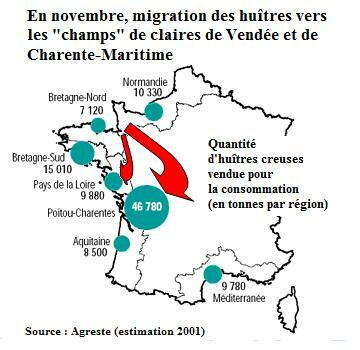 The story of Marennes Oléron oysters begins in Roman times. The great families of the empire paid fortunes to import them for their banquets.In the middle of the 19th century, when the salt producing marshesbecame obsolete and were reclaimed, the modern history of the Marennes Oléron oyster truly began.The original oysters of the basin were a flat species, but it was virtually wiped out by a parasite in 1922 after which the Portuguese oyster replaced it, being well adapted to the local climate. This then became the oyster of the Marennes Oléron Basin.In 1967 a second parasitic attack unfortunately destroyed this species too. An entirely new variety, called «the Japanese» was introduced to the Gironde estuary and the Marennes Oléron Basin where it flourishes to this day, to everyone’s delight. For centuries the claires of Marennes Oléron have possessed the same characteristics. Situated between the land and the sea, they are the reflection of these two environments. Formerly ponds for the production of salt, now converted, the claires are lower than the level of the highest tides. They are filled and emptied by the tidal cycle. Each individual claire has its own circulatory system, and is accessible either across the land or by boat to make their utilisation and maintenance easier. The clay which forms the sides and bottom of the claire is impermeable. The shallow water of the claire allows sunlight to penetrate easily to the bottom and favourises rapid thermal exchange which in turn promotes growth of phytoplankton, the natural food of the oysters. Seen from the air, the clusters of claires look like a mosaic on the landscape. No two are alike, but that which ties them together is stronger than that which differentiates them. Over 3000 hectares, the oysters Marennes Oléron enjoy a breeding technique and refining special: they are refined and high light. Old converted salt marsh, the clear pools are clay that fill at high tide and retain water when the tide goes out. After two years in the parks oysters pass in clear, giving them a special flavor attached to the soil. 1. The refining clearly gives them a unique flavor. Shallow ponds exposed to sunlight that enable the rapid development of phytoplankton, which feed on oysters. There are two types of fines: the fine light green and fine clear. Both are refined in the same way, 28 days minimum in ponds at a rate of 3 kg per square meter from November to March, except that the first feed on micro-algae that gives it its green color, both popular consumers. 2. The soil on which they depend makes them unique: more than 3 000 hectares on the banks of the Seudre to the east coast of the island of Oleron, to the coast of Bourcefranc-Le-Chapus at Port des Barques. If it is rounder and more plump than thin clear, it is refined in tanks for 28 days at a rate of 3 kg per square meter. The stages are selected in advance by the oyster to form: it is concave allowing the development of a more abundant flesh. be packed in the area Marennes Oléron. 4. But also two Red Label. The fine clear green was the first seafood certified in France (since 1989). The light grows has a label since 1999. For many years, have kept the oyster oysters for personal consumption as it is rare and exceptional flavor. It has gradually been distributed to customers trading. It is high and refined (unlike others that are in clear qu’affinées) very low density at 5 oysters per square meter maximum for 4 to 8 months: a technique to which it owes its very meaty texture, crisp, pearly color, sweet flavor and a long mouth content. 5. Because of the thickness of the shell, oysters refined or high light store better. They can keep a good week at a temperature of between 5 and 15 ° C.
6. Summer or winter, the oysters can be eaten throughout the year. The decree signed by Napoleon III that the oyster harvesting was prohibited from May to August were no longer of interest with the development of farming and spat collection. 7. They are found everywhere. At Marennes, in supermarkets or directly in your kitchen, delivered by producers in the region. 9. Raw or cooked oysters are cooked and easily adapted to all tastes. In sausages in the South West The sausages are thick sausage meat surrounded by screens of pork. They blend perfectly with the oysters cold. Cooked in the embers still closed. Upon opening, there a piece of salted butter. Flood with a rye bread spread with salted butter. 10. Not quite convinced? Embark with the country Marennes Oléron oyster time of a trip. Observe well the work of oyster in the heart of the first European center with 50 000 tonnes of oysters. Where to Buy thew delicious Fines de claires in Hong kong? on french gourmet website of course!